Many people believe, or affect to believe, that this world as it stands today is not more than 5,000 years old; that Man and all the creatures of the animal kingdom and the rocks of the mineral kingdom were created in a few days, fully fledged and finished in all aspects. They hold that evolution is a myth, that the Christian Bible account of creation is literally true and correct. To accept such a theory it is necessary to close one’s eyes to science in general and to the sciences of geology, anthropology, palaeontology and archaeology in particular. It is indeed true to say that there was a time when men did not walk the Earth, when dinosaurs, gigantic in size, roamed and ruled instead. It is also true that, according to Our reckoning, Man’s history is infinitely older than today’s science believes. By today’s reckoning, humanity is approximately five or six million years old at the most. By Our science and tradition, however, early animal-man had reached the point when individualization became possible, and the ‘Sons of mind’ began their long journey of evolution. It has taken Man 18-and-a-half million years to reach the level of today. How then is it possible for intelligent, educated ‘creationists’ to hold, against the evidence of science, what seems to be a ludicrous concept? The answer lies in the fact that the evolutionists and the creationists are really arguing at cross-purposes; both, in their limited way are right. Modern scientists, looking objectively at the findings of Darwin, have accumulated a wealth of evidence for the case of evolution, a long, slow development of men from animal ancestors, in particular by the development of mind. The creationists look to the Christian Bible as their guide, ignoring the fact that the Bible was written by hundreds of people over hundreds of years; that it is written in symbolic language, and is meant to be symbolic rather than factual. The creationist is at pains to emphasise that ‘Man’ was made by God, in ‘God’s own image’, and so owes nothing to evolution. To such, Darwin and those who follow him are missing the point about Man: that he is a spiritual being, of divine heritage, and if he does not always behave as God’s creation he has been corrupted by Satan. Can these two diametrically opposed views be bridged and expanded at the same time? From Our point of understanding the scientists of today, the evolutionists, are undoubtedly correct in their analysis of Man’s development from the animal kingdom. We owe our physical bodies to the animal kingdom. That, however, does not make us animals. Darwin, and those who correctly followed his thought, describes only the outer, physical development of Man, largely ignoring that we are all engaged in the development of consciousness. The human body has all but reached its completeness: there remains little further to be achieved. From the standpoint of consciousness, however, man has scarcely taken the first steps towards a flowering which will prove that man is indeed divine, a Soul in incarnation. One day, the fact of the Soul will be proved by science and so become generally accepted, and the old dichotomy will be healed. On 26 October 2008, while being filmed for Slovenian television in Munich, Germany, Benjamin Creme received the following message, by mental telepathy, from Maitreya, the World Teacher. My friends, listen carefully for I bring hope to you all for an end to your troubles, for a new life for all those ready to accept the need for justice and peace. [The lack of] these two, justice and peace, is the major obstacle in your path today. The way to justice and peace is easily solved. It requires only the acceptance of sharing. Share and know the future. Refuse to share and there will be no future for man. Simple is life when seen with the knowing eye. Learn, My friends, to live simply and to love one another truly. My friends, believe it to be true for so it is, that you shall see Me sooner than you can imagine. I am even now at the door, ready to step forward and to begin My more open Mission. Be hopeful and of good cheer, My friends, for all will be well. All manner of things will be well. Q. Did vote tampering take place in the recent US presidential elections? A. Yes, but to a lesser degree than the last two elections. Q. If so, what would the real results have been  without vote rigging and other tricks? A. About 5 per cent higher for Barack Obama. Q. Does the election of Barack Obama mean that the soul aspect of America can more easily manifest itself? A. Not necessarily. He has not done anything yet! A better indication will come when the US public hear and assess Maitreya. The African-American community will feel empowered and vindicated by Barack Obama's election victory but almost half of the popular vote, 48 per cent, went to the Republicans. The breakdown of America's economic and financial hegemony will be very influential in the months ahead. Q. Do you think Barack Obama will be more responsive to Maitreya's ideas than his Republican counterpart? A. Yes, and he has come to presidential power at a significant moment for the world. Q. Will Barack Obama be the last president of the United States? I believe it was either Maitreya's associate or your Master who said that eventually the US presidency will be replaced by a group of wise elder statesmen and that former president Jimmy Carter (in office, 1976-1980) will be invited to join them if he lives long enough. A. That is still the Plan so there is every chance that Mr Obama will be the last President. Q. The International Monetary Fund seems to be gaining a new level of importance as more and more economies begin to suffer from the economic collapse. What should or could best happen to the IMF? Is it also doomed to disappear along with other bodies which help maintain traditional capitalism? A. The IMF is deeply disliked and distrusted, especially by the developing countries which have been driven to its door by desperation. Time after time they have been given money, which they badly need, at the cost of their free will and the right to develop according to their traditions. They have been forced to grow food, for example, on a large scale for the foreign market and to buy their people's food from abroad. They are trapped. It is useful for countries at the moment who are suffering from the current economic crisis but eventually, when the principle of sharing reigns, it will be disbanded and close its doors. It has been blatantly a tool used for purely political ends. Q. On the Day of Declaration, (1) will our pets be aware of what is happening? (2) Will the animal kingdom in general be aware of the most important day of our planet ? A. (1) No, only men and women over the age of 14 years. (2) No. Q. I have been a believer in the return of the World Teacher for several years. It was my understanding that Maitreya had an open invitation to appear on a major television network, at a time of His choosing. Recently, I heard someone involved with Share International say that that invitation was no longer in effect. I would really like to get the latest status from 'the horse's mouth'. What is the status of the invitation? I don't want to be giving out wrong information. A. The invitation still stands and 'the time of His choosing' is very near. Someone, for whatever reason, is giving out false information. Q. Was Hurricane Gustav that affected the southern US coast, including New Orleans, the result of karma, the result of the devas being out of equilibrium, or just a natural phenomenon? (You stated that Hurricane Katrina that deluged New Orleans in 2005 and killed over 12,000 people 'per your Master's information' was the result of our actions in the Middle East). A. Hurricane Gustav was the result of the devas being out of equilibrium. Humanity is under great stress and strain and this affects the devic evolution. So, although indirect, it is karmic but more general in cause. Q. According to Buddhist eschatology, the teachings of Buddha will be forgotten by the time Maitreya comes to Earth. Also, there are certain physical events which will take place prior to his arrival. If you recognize Buddhism as a true teaching, how do you explain Maitreya's arrival under current circumstances? A. Among orthodox Buddhists the expectation of Maitreya Buddha varies between thousands and, in Japan, many millions of years. They really have no idea. Nor do they understand Who, in fact, Maitreya is. He does not 'come' to Earth, He has never left it. He is a great teacher like the Buddha before Him, and His manifestation is at a time of His choosing, not our fantasy or speculation. Buddhist teaching is about human psychology, spiritual awareness and how we should live together for the greatest good of all. It is not about dates. Q. I am interested in how some people have seen aliens. Benjamin Creme says that if we went to Mars we would not see them as they live on a different plane and their bodies are etheric, so how is it possible that some people supposedly see them? We know about crashes and that NASA is hiding a lot of information on UFOs. What really interests me is whether our Space Brothers can be seen with our own eyes: can they show themselves to us if they want to? For example, when they come here to make crop circles, could we see them? Or is it only the flying objects that are seen by people? Other than that I can say that Share International is the best magazine in the world and I feel the only one that can really give us true information as I don't know anyone else besides Benjamin Creme who can directly speak with Masters. I followed Sai Baba for years but even when I go to India to see him, I cannot get so close, as through what Benjamin tells us. Thank you, for your fantastic magazine and to Benjamin for opening our eyes and let us see, so much more that just what we see. A. It is true that the people of Mars, for example, live in etheric physical matter rather than in our dense physical. 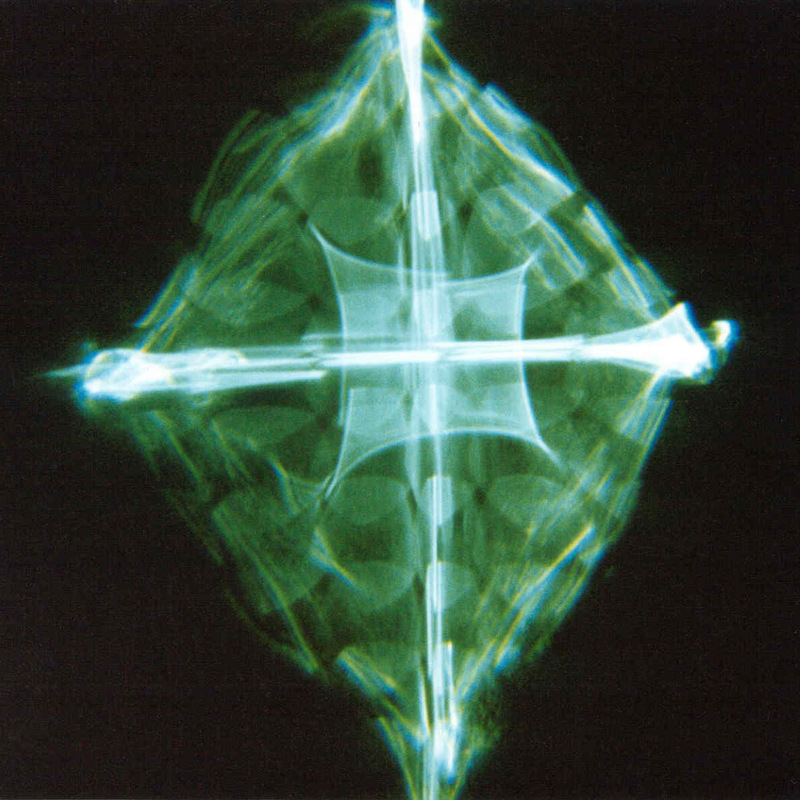 The etheric planes, of which there are four, are physical but subtle and, so far, invisible to our sight. This will change when we on Earth develop etheric vision. When someone from Mars wishes to be seen he can lower the vibration of his body and/or his space vehicle until he/it becomes visible to us; when he raises it again he/it 'disappears'. I do not like to call our Brothers in space aliens; they are indeed our Brothers and we owe them an enormous debt, so arduous is the constant work they do on our behalf. Q. Dear Mr Creme, when you receive photos of Maitreya's blessings how do you know for sure which ones are real and which are photo defects? A. I check every one with my Master. Every morning when I say my prayers I always use the ‘hand’ of Maitreya. A few days ago [in October 2008] I was asking for help and talking to Maitreya when the words came into my mind ‘the table is set’ which made me stop straightaway. I was told a very long time ago that the developments of today would come and I have patiently been waiting for Maitreya to join us. Perhaps ‘the table is set’ for His return? Could you tell me if I was being spoken to and by whom? In 1999 I was on my way to Benjamin Creme’s lecture in London, and waited nearly an hour for a bus  owing to back problems I could not stand any longer. Realizing I would be so late for the lecture I decided to go home. I went onto Charing Cross station, got out my fold-up walking stick and leant against a kiosk for support. Two extremely disabled people came onto the station from the Villiers Street entrance. They were helping each other to walk along, they seemed very down and out. I felt that they should not have been out on their own. I looked away so as not to stare for a while, but I was concerned. When I looked around again, the lady was sitting on the floor against the kiosk and the man was handing her a coffee and a burger. I looked away again for a minute, and when I looked back they had both gone! Were they Masters? I would like to share with you two experiences that made a great impact on me. (1) In December 1997 I was taking a walk in Mexico City and I approached a beggar in order to talk to him and give him some money. I asked him how things were going, and remember him saying: “People are very worried because the signs of the prophecies of the end of the world are appearing and people are not in good relation with God; they should improve and better their relation with Him.” I asked him for his name and he answered: “Juan Israel.” I passed that place several times afterwards but have not seen him again. Was this beggar someone special? 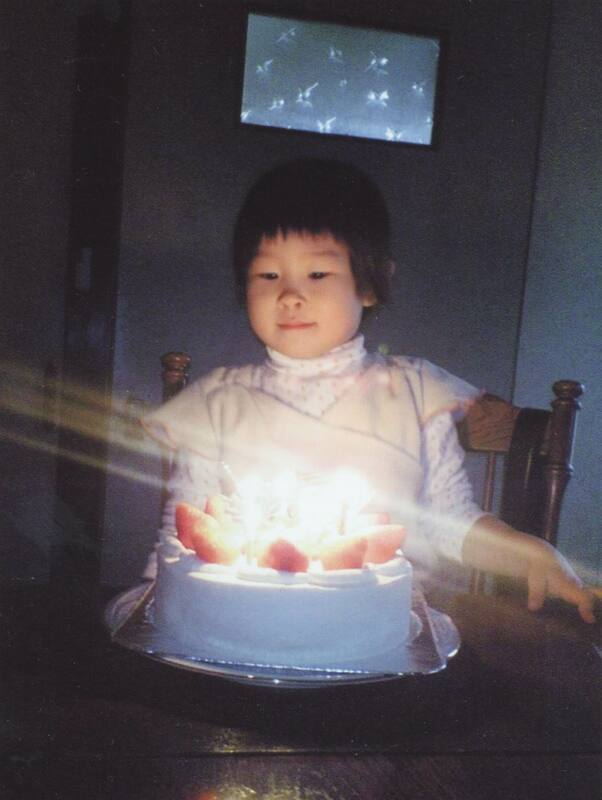 (2) The other special encounter happened in October 1999. I went to the exit of a supermarket that is close to where I live. I found a white dog without a collar and quite clean. We became friends almost immediately and greeted each other as old friends. I thought he was waiting for his owner but he started following me. I told him that he should wait there. It was Tuesday. On Friday when I was going to do some shopping in the supermarket I looked for him but could not find him. When I was in the queue waiting to pay I saw him sitting by the right entrance. It seemed he was alone, not disturbing the flow of people entering and going out. Nobody seemed to see him. After paying and forgetting about him, I left by the left door. At that moment I heard some loud barking from behind. It was the dog coming to greet me. We caressed each other for a few moments and then we said goodbye. I felt that he was somehow special. This happened on a Saturday in February 2000. I went to the local grocery store for my weekly supplies and was manoeuvring through the aisles with one of those extra large grocery carts. These carts are so big that when two people are going down the same aisle, space becomes very tight. I stopped to allow some people to pass. Behind them was a young Caucasian man (he was thin, stood over 6 feet tall with long, light-brown hair and a beard) who also wanted to pass. I noticed he was very eager to make his way through when he suddenly stopped, put his hand over his heart and bowed to me. He then quickly moved through the open space and I smiled and said: “Hi.” I felt compelled to turn and watch him disappear down the next aisle. I proceeded on but was very moved by this simple gesture. I still think about this young man and how his small gesture of ‘thanks’ moved me so powerfully. Was this humble fellow the Master Jesus? On 4 June 2008 my son and I were talking at lunch about the future of our planet and the conditions of life in the world. We were also talking about the presence of Maitreya the Christ and the Masters of Wisdom: Their extraordinary energy which will lead to a new understanding of reality. We both have read Maitreya’s Mission Volume One and Two. My son then went to the living room and on the screen of his cellular phone he discovered the photograph of Maitreya as He had appeared in Nairobi, Kenya. We were very surprised and happy. In the evening the same photograph appeared on my phone also. The image of Maitreya on my phone made me rejoice and it gives me hope, not just for me but for all people in the world. As I am writing this we still have the photograph of Maitreya on our cellular phones. 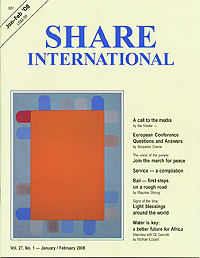 Share International magazine publishes reports of these miraculous happenings every month, showing that these events are connected and are all signs of the emergence of Maitreya, the World Teacher. In increasing numbers, miracles involving people from all faiths (and those of none) are being reported all over the world. These include religious statues and icons weeping tears, real blood and even pearls; the extraordinary Hindu “milk-drinking” statues; many appearances or sightings of the Madonna; holy messages in fruit and vegetables; sweet-scented healing oil weeping from icons and paintings; spectacular coloured lights in the sky; mysterious patterns of light appearing on hundreds of buildings worldwide; beautiful healing ‘crosses of light’ in windows; miraculous healing waters; amazing phenomena such as crystal tears emanating from a child’s eyes with no pain, or gems from a toe; numerous reports of rescues and encounters with ‘angels’; and light blessings appearing on photographs after they are developed. Here we include a selection of photographs from around the world, with a commentary from Maitreya, Benjamin Creme’s Master and Benjamin Creme. Left (click picture for larger image): Cross of light in Slovenia. 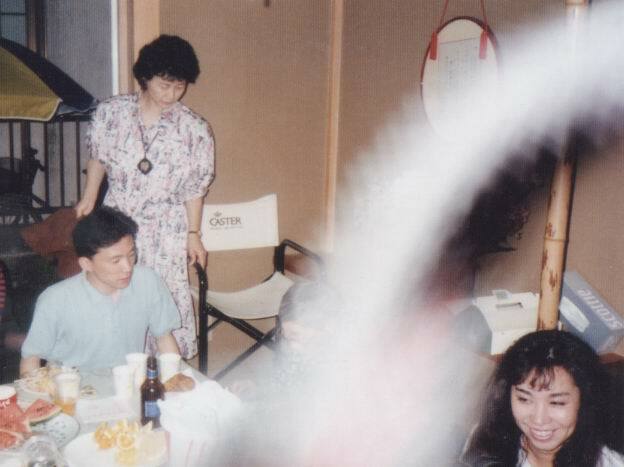 Right:Light blessing manifested by the Master Jesus on a photograph of an English teacher’s farewell party, June 1992, Tokyo, Japan. Sent by K.N. Maitreya appears to people in three ways. Many people recount having had a vivid and powerful dream, usually associated with some great spiritual, uplifting experience, in which they feel they have seen the Christ. That is the most common way in which He makes Himself known to humanity. Another, less common, way is to give people visions. These experiences are waking visions, not solid physical presences. People see or experience the Christ as light or a kind of transparent form. Their accounts vary as to how He appears. That is the second mode of Maitreya’s contact with people. 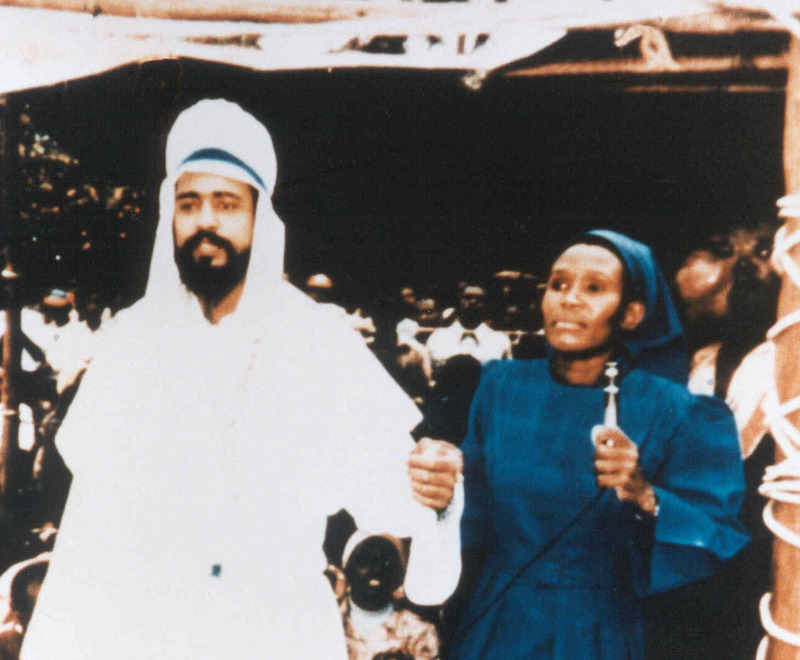 Left: Maitreya, in the guise in which He appeared in Nairobi, Kenya, June 1988. Maitreya has appeared physically, to my knowledge, to very large groups [all over the world]. At many of these places He has left behind miracle healing waters  either transforming existing springs or wells, or creating new ones. The best-known of these, so far, is in Tlacote, Mexico, about two hours’ drive out of Mexico City. The water there is curing thousands of people of all types of ailments, including AIDS and cancer…. The appearances were all before fundamentalist groups of one kind or another: Catholic in Mexico; Lutheran or Protestant in Germany; in Switzerland, Calvinistic; in Russia and the Eastern European countries, the Russian Orthodox or Greek Orthodox Christian communities; and fundamentalist Moslem, Hindu, and Jewish groups in the Middle East, North Africa, India, and Pakistan. Left: A granddaughter’s third birthday party, December 2006, shows a light blessing from the Master Jesus. Photograph sent by Y.N., Osaka, Japan. The most potent miracle of all, perhaps, is the handprint of Maitreya Himself, miraculously manifested on a bathroom mirror in Barcelona, Spain in August 2001. It is not a simple handprint but a three-dimensional image with photographic detail. Read more on Maitreya's 'hand'! Alitalia Airlines pilot Achille Zaghetti was flying a jet from Milan to London on the evening of 21 April 1991, when a brown “missile-shaped object” streaked across his field of vision. “At once I said, ‘Look out, look out,’ to my co-pilot, who looked out and saw what I had seen,” Zaghetti wrote in his report. “As soon as the object crossed us I asked the ACC (Area Control Center) operator if he saw something on his screen and he answered: ‘I see an unknown target 10 nautical miles behind you.’” The event was investigated by both the Ministry of Defence and the Civil Aviation Authority. The MOD ended their inquiry after concluding that the object was not a missile, weather balloon or space rocket, but did not offer an alternative explanation. To many international observers, the days of 17-18 September 2008 marked the beginning of the end of American-style capitalism, which was derided in the days that followed by a surprising number of politicians and economists worldwide as something nearer to “cowboy capitalism”. Over these two days, collapsing intraday stock prices and a run on money market funds in the US produced a scramble by investors for absolute safety. Soaring demand for instruments deemed safe, such as US Treasury Bills, sent interest rates to record lows. In the afternoon hours of 18 September it must have become clear to the US Treasury that the financial system was on the brink of a systemic meltdown. The nation’s critical money markets were experiencing a ‘run on the bank’ as frightened depositors pulled out hundreds of billions of dollars in uninsured deposits over this two-day period. The US was in a financial crash the likes of which had not been seen in over 70 years. On 18 September, in order to prevent an overnight crash and stave off a complete freezing of the financial system, the US Treasury Department leaked to the press that a huge bailout bill would soon be announced. This leak reversed the crashing stock markets the moment the news hit the airwaves. For the time being, the collapse of the stock exchanges and the financial system was halted. But this would prove to be a temporary panacea. What was it that brought the world’s economic and financial leader, the US, to this moment of failure, to a repudiation of the ‘American way of doing business’? Greed is the obvious answer. But this greed, combining as it did with the arrogance and illusion of Wall Street, is proving to be a particularly destructive combination. Less than two years earlier, US Treasury Secretary Henry Paulson had lectured the Chinese on the merits of America’s free-wheeling, free-market style capitalism, where financial system innovation is left to Wall Street speculators and hedge funds with virtually no regulation, religiously following the free-market ideal of trusting market participants to self-regulate. Today, as a result of the failing US banking system and financial infrastructure, this belief in free markets, in unfettered capitalism, has been shattered virtually everywhere, including, it seems, in America as it wakes up to what Wall Street greed has done not only to the US but to the entire world. To be sure, America is not the only country caught up in this unprecedented level of greed. But many of the world’s current problems were made in America and exported by the US financial services industry. These ‘financial innovations’ spread around the globe as even historically conservative bankers, such as Switzerland’s largest bank, UBS, became embroiled in the collapsing mortgage-backed securities that were issued in huge quantities from Wall Street’s bankers. Great Britain, too, with its London financial center, is being forced to acknowledge its own unwise participation and culpability in the global crisis, as is the European mainland. Much of the blame for the current crisis is being placed on collapsing real estate values in the US, which is mostly the result of excessive speculation and the cheap money policies put in place by the US Federal Reserve Bank under Alan Greenspan. But this misses the point and obfuscates the real problem. If the problem were simply declining real estate values, the bad mortgages could be placed in a ‘Resolution Trust’, a US government-owned asset management company established in 1989 to clean up the bad real-estate debts of the US Savings and Loan industry. An orderly unwinding of the bad debts could then begin. Under this scenario, the solution to the current crisis would be fairly easy but still expensive. But today’s problem is that the ‘financial innovation’ that originated on Wall Street centered on the creation of almost unlimited amounts of derivatives and the securitization of all types of assets, such as mortgages, credit card loans, auto loans, student loans  almost anything the banks and brokers could combine into a security and sell. This allowed banks and brokers to remove these financial products from their books but still collect the profit for making and servicing the loans. These securities were snapped up by global investors who were hungry for higher yields but did not understand the consequences of investing in Wall Street’s newest creations. After the securitization of assets was in full swing, Wall Street began cutting these assets into different tranches, or slices, based on anything investors were interested in, from assets with higher yields with the attendant increase in risk, to lower yields for investors seeking safety but higher returns than money markets offered. Lower quality assets were bundled and sold as if this would somehow miraculously transform them into high quality assets just by the act of combining them together in a single package. Wall Street’s logic was that putting together a bunch of poor credit ratings made the combined security something other than junk since not everyone with poor credit would default. It was assumed that only a certain predictable percentage would default, and this reliability would make the security an investment grade security. The ratings agencies, corrupted by the large amounts of money being thrown at them to give these securities high ratings, failed in their duty to accurately assess the risk in these ‘new investments.’ Many securities that were little more than junk bonds were passed off as deserving an investment grade debt rating, thereby enabling these securities to qualify for inclusion in global pension funds, which are large buyers of asset-backed securities such as mortgage securities. Other global investors, particularly banks and hedge funds, were large buyers as well. Wall Street passed off this illusion to everyone, and it was accepted universally. The current tally of investor losses attributed to these types of toxic products is approaching US$700 billion. A recent prediction by the Bank of England on future losses from these types of instruments is US$2.8 trillion. But one thing is certain: the global financial system has yet to own up to the true extent of its losses. Many New York banks and brokers are still exposed to extraordinary amounts of losses from off-balance-sheet Structured Investment Vehicles (SIV), which were created by the banks and brokers to earn commissions for the banks but also allowed the banks to get the debts off their balance sheet, thus temporarily transferring risk to others. The problem for the creators of these toxic financial instruments is that the risks and losses often return to the balance sheet of the banks in the event the SIVs run into financial difficulty. The large US bank, Citibank, is said to have had at least US$1.1 trillion in SIVs. Given the current damage in the global financial markets, the amount of future losses on SIVs is unknown but would appear to be substantial. It should be noted that most of this ‘financial innovation’ has one source: the desire to get around the restrictions, the existing regulations, placed on banks and brokers on the leveraging of their capital (and in the eyes of the banks lowering the bank’s potential profit). In banking, as in all of the financial and economic fields, higher leverage means higher risk. Leverage is debt to equity, which is another way of saying a financial entity may borrow $30, for example, for each dollar they actually have. Wall Street’s determination for higher profit, leading to the use of greater leverage, has led to the creation of a shadow banking system (hedge funds, private capital groups, sovereign wealth funds, SIVs, conduits, derivatives) that exists separate and apart from the normal regulatory agencies. This was made all the easier by the Bush Administration’s hands-off approach to regulation, an approach founded on the belief in free and unregulated markets. As an example of this laissez-faire attitude, in 2004 the US Securities and Exchange Commission, after only an hour’s deliberation, permitted the brokerage industry to increase their leverage from 12 to 1, to 30 or 40 to 1. Four years later, as a result of this relaxing of the long-standing regulatory framework, the five largest US brokers have ceased to be completely independent companies or ceased to exist. Bear Stearns was sold overnight to JP Morgan Chase. Merrill Lynch disappeared over a weekend into the hands of Bank of America. Lehman Brothers failed outright. Morgan Stanley was forced to sell a substantial piece of itself to a Japanese firm, and was also forced into partial nationalization in the $700 billion US bailout package, as was another Wall Street power broker, Goldman Sachs. Both of these Wall Street titans were forced to give up their independent status as investments banks and become instead bank holding companies, which are more tightly regulated. Without exception, this chaos is the result of too much speculation, the unwise employment of excessive leverage. But it is not Wall Street that will pay the ultimate price. That cost will be carried by the taxpayer as the profits were privatized but the losses now will be socialized. This is a great system for greedy bankers, but it will be tremendously damaging to the public when the final cost of this excess is tabulated. • Payoff dependent on the balance sheet of the loser in the arrangement. • Evaluated by computer assumptions. For the time being, cash is king. But one should expect further bailouts, liquidity infusions, and other attempts to re-inflate. Deflation is particularly destructive to highly indebted economies such as the US economy, and the US will no doubt attempt to counter this pressure with a high level of money creation. It simply has no choice if it wishes to avoid a repeat of the Great Depression. Therefore, it should be expected that the US dollar will come under severe pressure at some point and that this may lead to its loss of status as the world’s reserve currency. Volatility will remain high as one crisis leads to another in a long chain of de-leveraging. Despite the inevitable attempts by the ‘men of money’ to continue the old ways of unfettered free markets, capitalism as we have known it is dead. Politicians and economists everywhere are waking up to the fact that market forces are destructive and must be controlled by society through tight regulations on the global marketplace. In particular, the Europeans, Russians and Chinese are leading the call for a new global financial architecture and demanding a broad reassessment of the prevailing free-market ideology. Much of the world takes the line that international terrorism is the major threat to our future, echoing the constant barrage of propaganda presented by our political leaders. However, awareness is growing worldwide that international terrorism is not separate from extreme poverty and environmental pollution. ‘9/11’ has shown that Western countries can no longer isolate themselves from events elsewhere. “More than ever humanity is interconnected,” writes Chris Abbot, Paul Rogers and John Sloboda, co-workers of the Oxford Research Group, an influential, independent British think-tank on issues of global security. There are other threats, but these four may cost so many human lives that they overshadow the others. In recent years, it has become increasingly clear that climate change is not only an environmental issue but also one of security. Even the Pentagon considers climate change a much greater danger than terrorism. In the coming 50 years, say the authors, climate change will probably be the major threat to security. However, there are already casualties and, as is always the case, the poor countries are the most severely affected. In recent decades, 10 to 25 million people have been displaced in Africa, due to desertification. The World Health Organization concluded in 2004 that 150,000 people die each year because of climate change  most of them in southern Africa. Some areas in the world will have more rain, but many areas will become drier, especially the most fertile regions in the tropics, and food shortages and famine could result from these changes. About one-third of the earth may be so dry by the end of the century that it will be impossible to practise agriculture and market gardening in those regions. Another major threat to our security, say the authors, is conflict over scarce resources. Because many large countries have to import oil, petroleum in particular could fuel global conflict. The United States has clearly shown its interest in the most oil-rich region of the world (the Middle East) through two Gulf wars (1991 and 2003), the strengthening of their fleet in the Persian Gulf and the holding on to military bases in Saudi Arabia. In recent years, the USA has established four permanent military bases in Iraq (two of which are near large oil fields and one close to a large potential oil field) and China has been making deals with Iran to safeguard its oil imports. To decrease our (Western) dependence on oil is therefore not only crucial for tackling climate change, but also for our security. While not diminishing the danger of terrorism, the authors point out that other problems are creating many more victims. In the US, for instance, a few dozen people at most fall victim to terrorism each year. In 2001 alone, 2,500 people in the US died as a result of terrorism. In that same year, however, 3,500 people died in the US due to under-nourishment and 14,000 because of HIV/AIDS. There were 42,000 traffic casualties and nearly 30,000 people lost their lives in shooting incidents, while 20,000 people were murdered. Although in 2001 the average American ran five times as much chance of dying of HIV/AIDS than of terrorism, in 2005 the government spent $48.5 billion on national security alone, compared to $2.6 billion on the international fight against HIV/AIDS, globally the major cause of death between the ages of 15 and 59. According to UNICEF, AIDS is the greatest disaster ever to afflict the world, with 70 per cent of those infected living in southern Africa. The disease has left millions of children orphaned in these countries, making them easy targets for recruitment into gangs and terrorist groups. AIDS is therefore not only a question of health, but also of security. It is not so much a question of a gap between the North and the South, as of an economic ‘Grand Canyon’, say the authors  1 billion people live on one dollar a day. Nearly half of all of the 2.2 billion children on the planet live in abject poverty. Every year 815 billion people suffer from acute starvation; every year 10 million people die of hunger, though there is plenty of food. These problems will deteriorate further if, due to climate change, regions are flooded or drought-stricken. The gap between rich and poor is growing and developing countries are being sidelined because the US and Europe want to maintain their dominance of the world. Closing this huge gap will provide far more security than the so-called ‘war on terror’. People who are banished to the margins of society seek refuge within radical groups, which is what we see happening in Saudi Arabia, Palestine, Iraq and elsewhere. The US and its allies are seen as being responsible for the enormous differences in wealth and as a result have become a target for these frustrations. Sustainable security will not be achieved through the wars in Iraq and Afghanistan (and perhaps Iran), but through international co-operation to tackle the problems of climate change, scarce resources, the huge gap between North and South, and ongoing militarization. The authors suggest, among other measures, a tax on CO2 emissions and more investment in durable alternative energy sources (wind, solar, tidal energy, biomass) instead of fossil fuels. Furthermore, international systems of trade and aid should be reformed and the debts of poor countries written off. International terrorism can be combated through official recognition of the political grievances of marginalized groups. This should be combined with police operations against violent groups. Wherever possible, a dialogue with terrorist leaders should be started. The nuclear powers will need to cut back their nuclear arsenals and not develop new nuclear and other weapons. Beyond Terror: The Truth about the Real Threats to our World is a concise but nonetheless complete survey of the major issues of this time and of their possible solutions. In a clear, excellently worded argument (93 pages) the authors describe how climate change, poverty, militarization and terrorism are closely interrelated, and point to measures humanity can take to prevent our world from becoming more insecure and unviable. Beyond Terror: The Truth about the Real Threats to our World, by Chris Abbot, Paul Rogers and John Sloboda. Oxford Research Group/Random House, 2007. ISBN 978-1-84-604070-2. The online bookstore Good Books is a voluntary organisation that donates 100 per cent of its profits to Oxfam for sustainable development projects in the Pacific region. It is a unique collaboration between a charity and a commercial business, the internet book dealer Paperbackshop UK (PBS). Good Books website has a vast catalogue of PBS books, which are shipped to the customer postage-free. Based in New Zealand, Good Books was founded in 2006 by Dr Jane Cherrington, who envisions “making buying responsibly part of the structure of the marketplace”. Megan Scherer interviewed Dr Cherrington for Share International. SI: I gather your father, who is the owner of PBS, initially gave you the idea of setting up an “Amazon alternative” in internet book sales. JC: He approached me with the question: If you were going to create an Amazon alternative, what would you do? It was an offhand question, but I’d been looking for a bridge between commerce and not-for-profit for a long time and saw an opportunity. I said: “If I gave away all the profits and made it a charitable venture, that would work. He was very sceptical at first but I finally convinced him that, because PBS would remain a separate entity, they wouldn’t lose. The difficulty was trying to manage the relationship between the two companies when we have very different values driving us: a commercial company oriented to margins and turnover as opposed to a charity with its emphasis on high-value customer service and nurturing relationships. SI: As a for-profit company, how is PBS able to deliver books to your customers free of delivery costs without losing money? JC: PBS delivers millions of books so they have seriously good deals on books and postage, which we get the benefit of. The books are purchased from multiple suppliers (wholesalers) by PBS, who packs and ships them for us. PBS purchases the books at wholesale prices and adds delivery, packing and handling costs to the unit cost. Thus postage is built into the cost of the book; we do not charge more for it. To build the post cost into the unit cost means we reduce our margins. At Good Books we add 20 per cent, and that entire 20 per cent is income to charitable projects. SI: Why did you choose to partner with Oxfam? JC: I wanted to minimise barriers to people using Good Books, and that meant choosing a secular organization. There are a lot of people of faith who buy through us, but there are a lot of people who are more secular, and I think a secular organization presents the least issues of entry. Also, Oxfam has a very clear mandate to pursue sustainable development. Although they work in crises in the event of natural or humanitarian disasters, that is not the work we are trying to fund. We’re really interested in creating opportunities for communities to develop in ways that become sustainable, as they determine most appropriate. As somebody put it: “really you’re into taps and toilets”. It’s not glamorous but water and sanitation are the big issues, and for us it’s fundamental. SI: How much money have you been able to donate to Oxfam projects so far? JC: $50,000, and we are about to donate another $10,000. That’s equivalent to providing 15,000 people with access to water. SI: In which areas of the world are these projects based? JC: We’re very Pacific-aligned, because this is where we are located, although we have an interest in what’s going on in the rest of the world. There have been many projects in the Pacific that fit very well with our criteria, including water and sanitation projects in the Highlands of Papua New Guinea as well as in Vanuatu and the Solomon Islands. We’re talking with other branches of Oxfam too, about what we might do in partnership as we go international. SI: How does your past work experience tie in with your current role? JC: My background is a hybrid. I came out of advertising and, before that, sales and marketing. Then, in a fit of wanting to do good, I leapt into mental health and took on a job as manager and then as chief executive of the Mental Health Foundation of New Zealand. It was a radical learning experience for me, working in the not-for-profit sector, understanding the issues they face and how market forces are impacting on them and creating an environment of competitiveness. I saw how hand-to-mouth the charitable sector is in terms of managing, and how heavily dependent it is on donors  the same group of donors. SI: Are all employees associated with Good Books, including yourself, volunteers? If so, do they have paid employment elsewhere? JC: No one, myself included, gets paid for this work. In the case of volunteers, either they are students or they have paid work as well. We have more than enough for what we need. Others have needs that we can help meet. How can you let your neighbour starve/thirst/want when you have the means to help? SI: To be able to donate 100 per cent of Good Books’ profits to charity obviously requires a lot of community support. What benefits do you think people and organizations receive from volunteering their time and services? JC: I think we can feel good about ourselves, and also get a sense of accomplishment when we’ve done something tangible towards helping others access the resources they need. It’s the same with buying books on the site: people want to know how they can help, but the world’s need seems overwhelming. At Good Books we say: “All you have to do is choose deliberately to buy your books here.” In other words, all you have to do is what you do normally. It is where you choose to do it that will make a difference. SI: You obviously believe in the ability to ‘change the system from within’. Would you say that this change will come about through more businesses developing a social conscience, or will it be driven more by consumers wanting to buy responsibly? JC: I think it’s both. Organisations have to be much more focused on reviewing how they deliver  understanding the implications of the supply chain they work with. You cannot pretend you don’t know what’s going on in a foreign environment and say that it’s OK. Thus pressure is created for organizational change. Climate change, environmental issues are also creating massive pressure for countries, organizations and individuals to look at how they operate. The critically-aware consumer is still on the whole only partially aware of the impact of their actions. At the end of the day, people are busy, they’ve got lives, so how do you make it easy for them? Also, how do you encourage critical thinking? This is a time unlike any other for the possibility, or a real emergence of, a more socially-responsible way of living. Look at the ways in which we live in our Western communities. There are going to be people very reluctant to relinquish too much privilege, or to recognise the responsibility they have for maintaining a system which perpetuates disadvantage for those who aren’t privileged. SI: It is interesting that people are becoming aware of how interconnected everything is  business, environment and community. JC: There are lots of communities that have been thinking this way for a long time, and who’ve been working for it. This very individualistic model that we have in the West is problematic because it doesn’t encourage connection more broadly, the understanding of interconnectedness and community, and that we are not just individuals. We are relational beings in a complex network. SI: To change the current system would probably require governments putting into law that businesses must donate a portion of their profits, goods or services. Would you agree, and if so, can you see that happening in the future? JC: Change is very complex as a process. It takes all sorts of things to create cultural change. Ultimately, for me, it’s got to come from within as much as it’s got to become an issue of legislation. What’s required is systemic change. That will require corporations/organizations to work differently, that we stop pretending we are in parallel universes. We need to recognize that we are connected and understand things like the value of the family; making the role of the family privileged over and above the role of business in the community. I don’t know that one could legislate that into being. The world of business has become, in Western communities, very dominant. It has an important role to play, and there are incredibly creative, interesting and clever people in business. One thing the private sector could share with NGOs (non-governmental organizations) would be their energy and dynamism. I love what organizations like Vodafone do. They enable their employees to have a certain percentage of their time paid by Vodafone to work with their favourite projects, to be connected and part of the community. Maybe the same could happen the other way: it would be valuable for chief executives of NGOs to spend a bit of time in creative corporate businesses and learn how they motivate staff and create efficiencies and accountabilities. There’s bridge-building needed to get some flow happening between the two…. More than 116 million people in 131 countries took part in anti-poverty actions in support of the UN Millennium Development Goals (MDGs) on 17-19 October 2008. Breaking the Guinness World Record, the mass action was the “biggest mobilization ever on a single issue”. Organized by the international groups Global Call to Action Against Poverty and the UN Millennium Campaign, the “Stand Up and Take Action” effort called on world leaders to keep their promises to achieve the MDGs, eight measurable targets and deadlines for improving the lives of the world’s poorest people. World leaders agreed to achieve the MDGs by 2015. Over 73 million participants took part in the mass action in Asia, 24 million in Africa, 17 million in Arab states, close to 1 million in Europe and many more in Latin America and North America. • In the Philippines, more than 35 million people  one-third of the population  Stood Against Poverty at events organized through the Department of Education, universities, local municipalities and government ministries. Thousands of fishermen also took to the streets with Global Call to Action Against Poverty  Philippines to demand a government programme for food sovereignty and sustainability. • In Egypt, millions of people Stood Up in mosques across the country as well as along the banks of the Nile, where two sailboats made eight stops between Alexandria and Aswan to educate Egyptians about the Millennium Development Goals. • Farmers in Pakistan took to the streets to criticize rising food prices. Other Stand Up rallies urged the government to reduce rising poverty as the number of poor people in Pakistan rose from 60 million to 77 million in 2008. • In Badarpur Khadar, India, a village 15 km from Delhi, with no electricity, water, sanitation or health facilities, 700 people Stood Up when they opened the first school in the village’s 300-year history. The villagers plan to take up the issue of their denial of the fundamental constitutional right of primary education with the government. • In Jigawa, Nigeria’s poorest state, the Sultan of Sokoto, His Eminence Sa’ad Abubakar III  one of the most respected traditional rulers in West Africa  joined 20,000 people who Stood Against Poverty, in a summit where they called on the government to empower women and other marginalized groups through skill acquisition programmes, empowerment schemes and access to micro-financing. • In Rwanda, President Kagame joined 10,000 people to Stand Against Poverty at the Rubavu Stadium in the Western Province. The President called on Rwandans to use their hard-won peace and stability as the foundation to fight poverty, create wealth and drive development for the well-being of the entire population. • In Uganda, the entire parliament Stood against Poverty, and members of the Parliamentary Committee on the Millennium Development Goals helped to clean the Kisenyi slum outside Kampala. • In Malawi, over 600,000 people took part in actions as part of the Micah Challenge campaign, a global effort to mobilize Christians against global poverty. Congregants of 240 Catholic churches and more than 1,000 ecumenical churches in Malawi joined together to demand greater transparency and accountability from their leaders. • In Jakarta and other cities of Indonesia, more than 450,000 Muslims in 1,500 mosques Stood Up after Friday prayers on 17 October. Khatibs (preachers) explained the responsibilities of Muslims in accordance with Islamic values to fight poverty. • In Bangladesh, over 13 million people Stood Against Poverty at events throughout the weekend, including a Millennium Development Goals Road Show and a policy seminar to engage political leaders in the upcoming national elections. • In Nepal, over 1.5 million people Stood Against Poverty, at a convention of women members of the Constituent Assembly and many other events focusing on deepening participatory democracy as part of building a poverty and hunger-free Nepal. • 400,000 students in the West Bank and 200,000 students in Gaza Stood Against Poverty as part of an annual programme to teach them about the Millennium Development Goals and involve them in holding their government accountable. • In Thailand, the Royal Thai Government, represented by the Ministry of Interior, and the United Nations jointly pledged their commitment to eradicate poverty and inequality by launching a 180-day Roadmap for Poverty Eradication. • Thousands of people in Internally Displaced Persons (IDP) camps in Baidoa, Somalia, Stood Up in solidarity with all others around the world living in poverty, and determined to take action to improve their own situation. • At a poverty forum in Kabul, delegates pledged to take action to end poverty in Afghanistan, where 85 per cent of the population lives in poverty. Parliamentarians and government officials, professors from Kabul University, civil society organizations, and religious leaders attended the event and Stood Up. 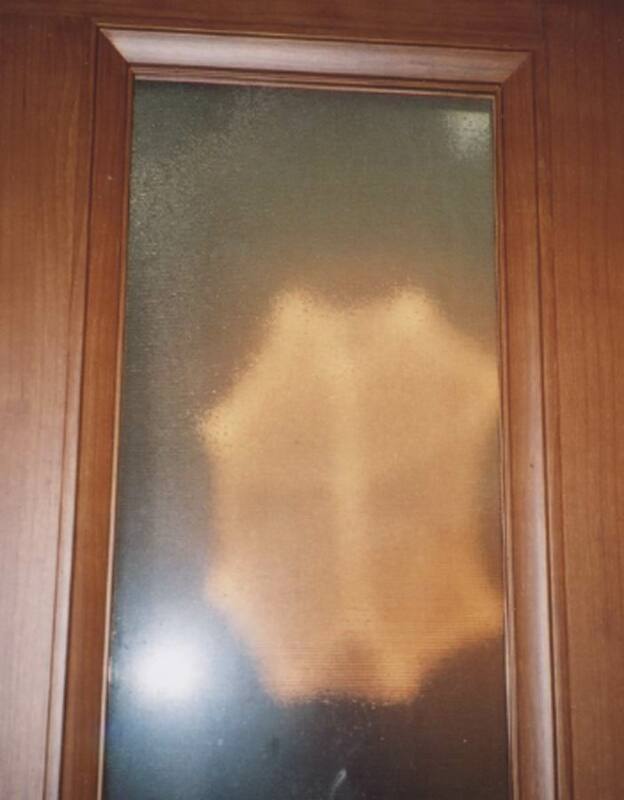 Left: Cross of light manifested by the Master in Tokyo on the children’s room door at Shinjuku-ku, Tokyo, Japan. Sent by H.K. Right:Light blessing from the Master Jesus on a photograph of M-T.G. 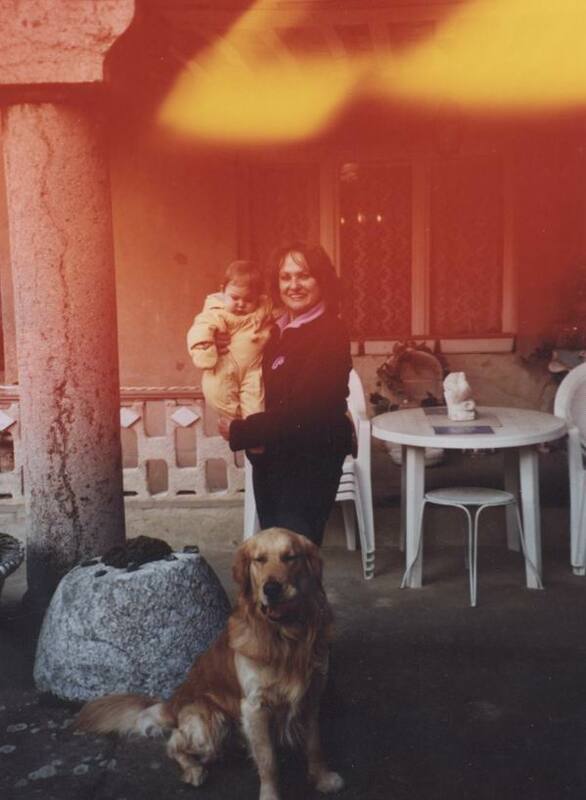 and her granddaughter, in Saint-Priest, France. 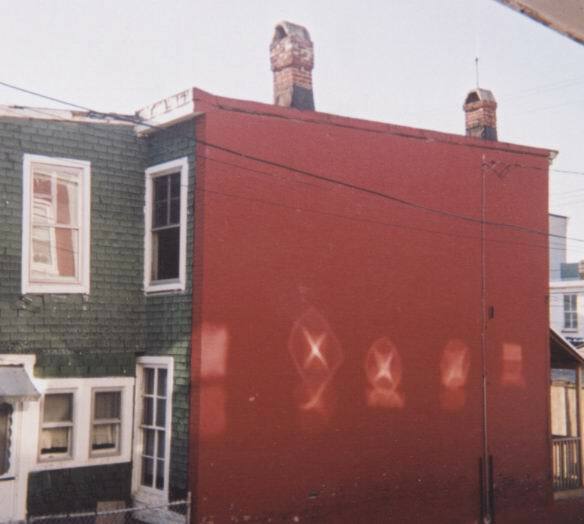 Left:Patterns of light in Baltimore, Maryland, taken by D.McK.’s brother, Spring 2004. 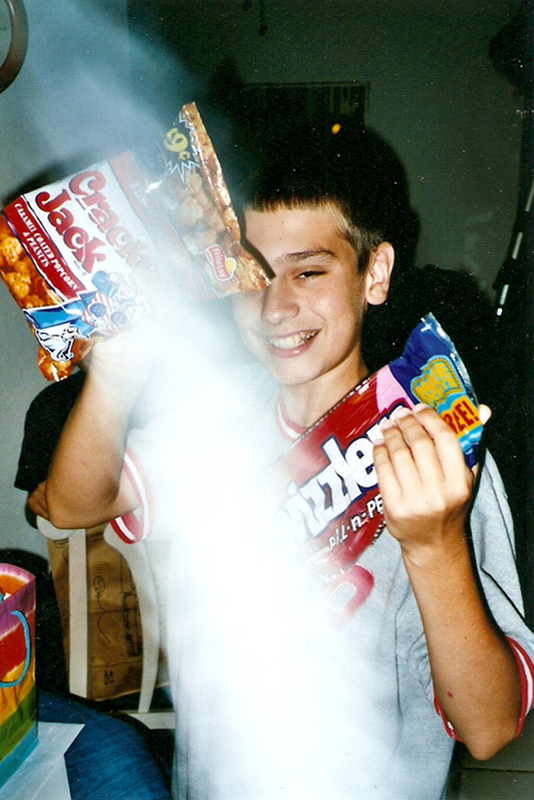 Right:Photograph taken on her son’s birthday in 2003 shows a blessing from the Master Jesus. Sent by V.R., Brooksville, Florida, USA.